on a rain-soaked, muddy hillside, men in blue and gray converged. 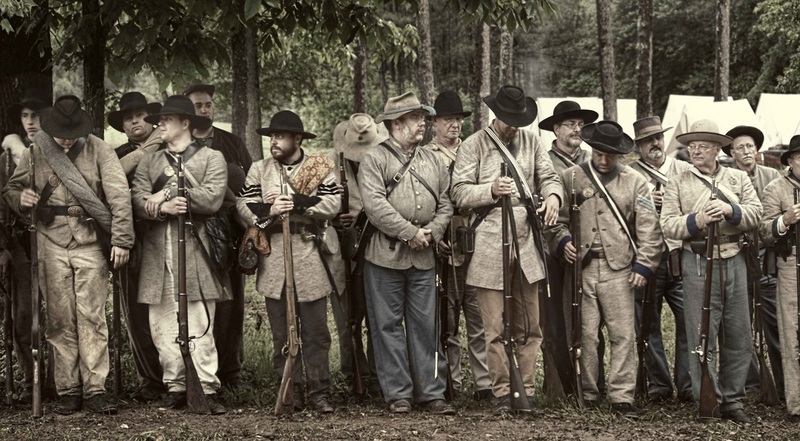 surfacing from their encampments that covered acres around the battlefield, men mustered out for inspection prior to battle. 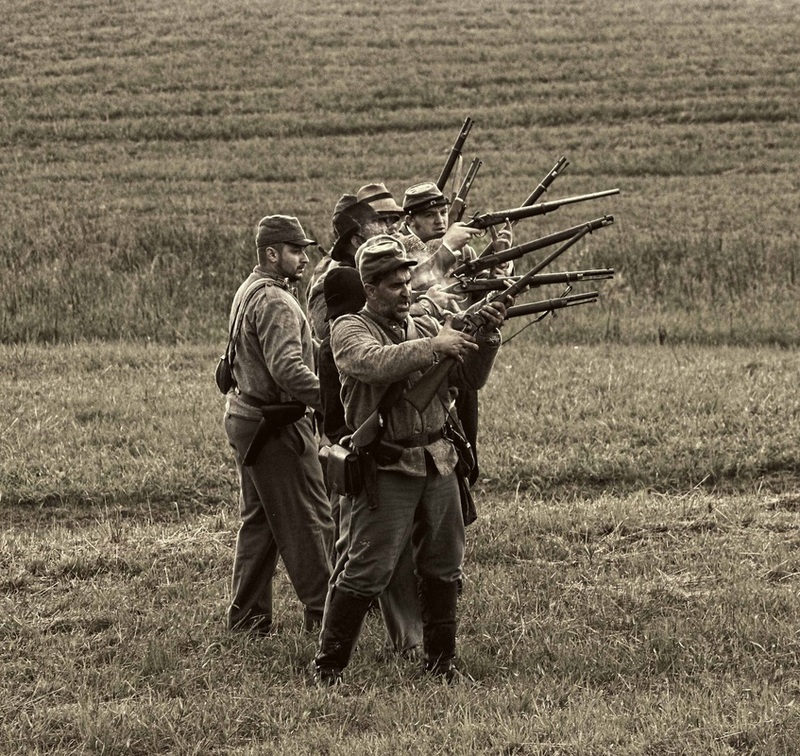 to the left, the confederate army held their ammunition check, readying their cannons and soldiers, barricaded behind an earthen trench. 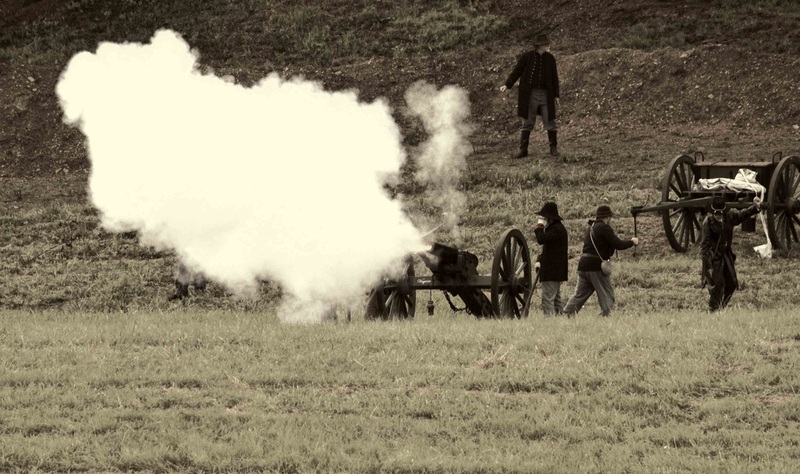 to the right, the blues of the federal troups lined the upper ridge of the mountainside with at least six canons stationed before them. a man waved a flag on the right. a man answered on the left. 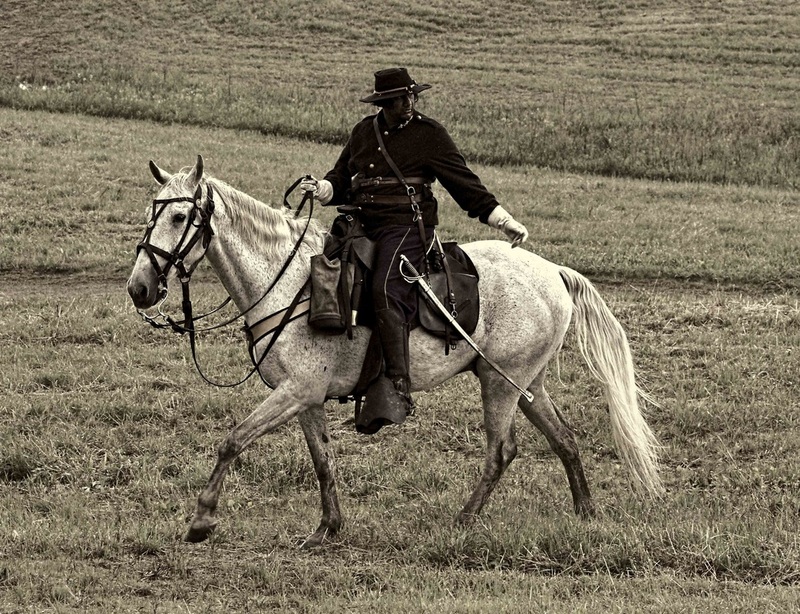 men on horses came over the right ridge and gradually took their place at the middlemost point - eerily slowly, as if they were heading home after a long day. from the left, riders and horses did the same. 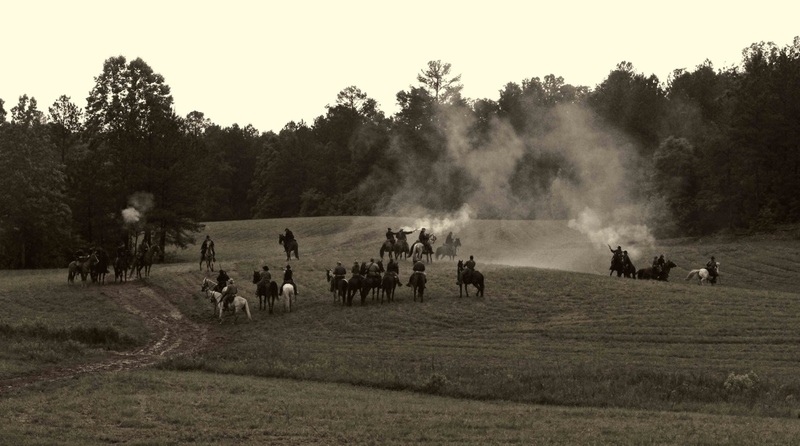 as they clustered in the middle, men on horseback exchanged words and movements, and suddenly, the gunfire overwhelmed the resonance of the rain which was beginning to fall once more. the smoke from the guns and cannons separated the horizon. soon, the exhaust overshadowed every action, and as quickly as the process began, it ended. fallen men covered the valleys and hillside as those that remained retreated to their starting point. 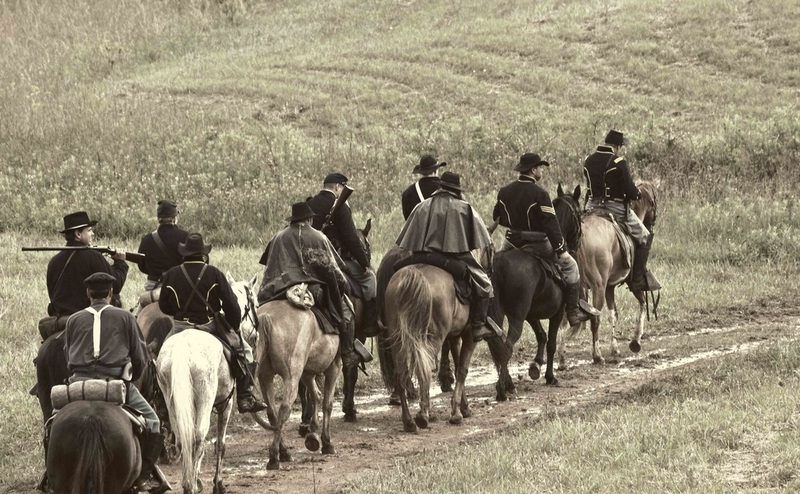 it was cold and rainy on this day, some 149 years since the day generals sherman and johnston led their men through the terraced grassland. 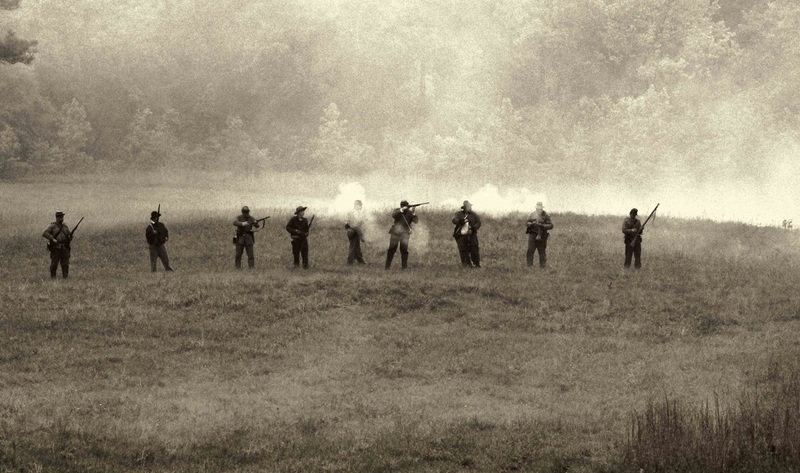 as i watched the reenactment, i kept thinking, 'what if there were 10,000 men like history tells us?' or 'as miserable as i am, it was worse for them and they couldn't stop and get warm.' it was a new experience for me, one that gave me an unpredicted respect for those who fought years ago. the cannon blasts shook me to the core. 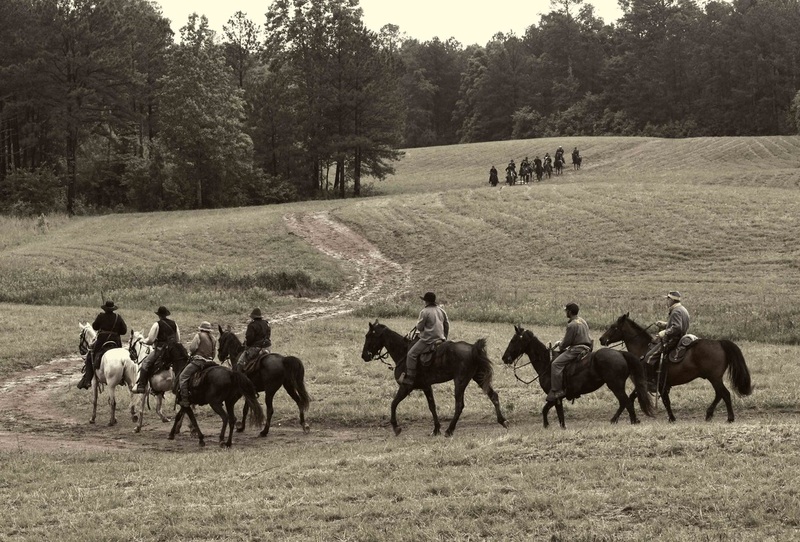 the men on horses, as calm as they seemed, surely knew that this might be their last ride. 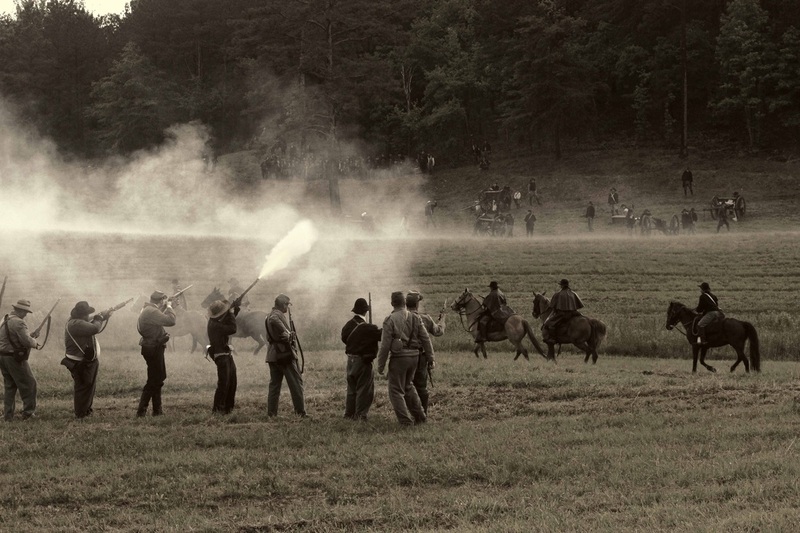 on historic chitwood farm in resaca, the georgia division of reenactors association and the national park service held the 149th anniversary of the battle of resaca. 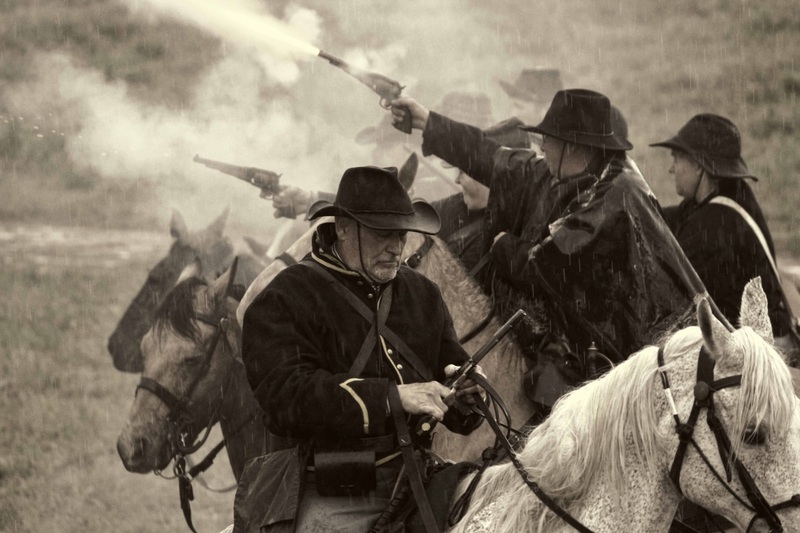 for an entire weekend, men camped in period tents on the hills surrounding the original resaca battlefield and lived the life of the men they were portraying. as i approached the scene, one young man emerged from his tent and said, "my prayers have been answered." he started walking hurriedly down the hill, and then turned back to me. "we're going to war," he added and disappeared. each year, volunteers come together - rain or shine - in remembrance of the battle forged and the lives lost. scenarios for each battle are based on the research of william r. scaife, noted historian. 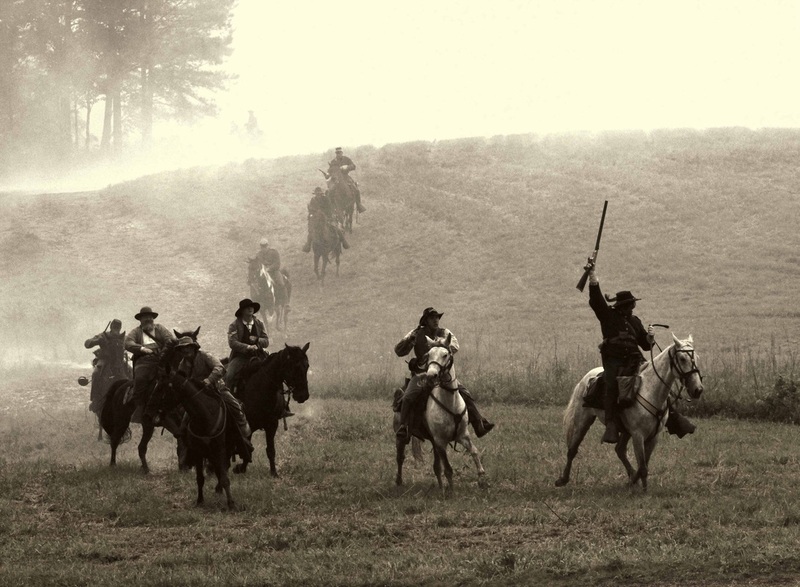 the commanders for the 2013 event were general terry hancock [confederate] and general hunter poythress [federal]. 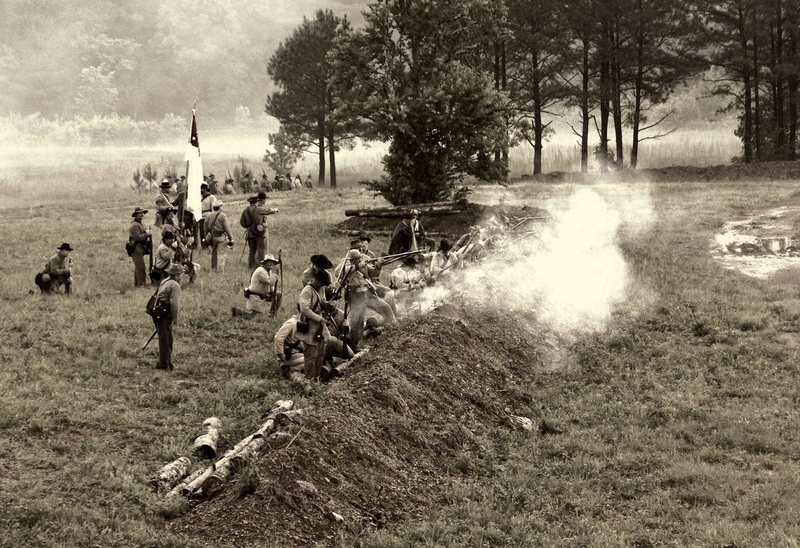 it was the first major battle of the atlanta campaign. 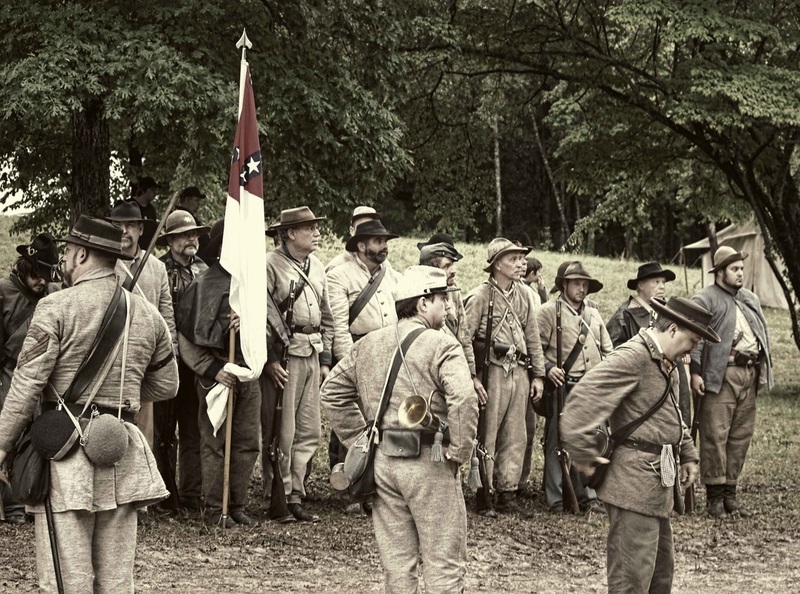 general joseph e. johnston's confederate army of 55,00 soldiers were threatened by the 110,000 soldiers of the union under the command of general william sherman. for two days, the troops fought with no clear victor. general sherman, realizing the futility of his frontal attack, sent his army south in an attempt to cut the confederate's railroad supply line. general johnston was forced to abandon his stance and the confederate army moved during the night across the oostanaula river. the federal troops advanced the following morning, finding the trenches empty. it was over, but the fierce fighting took the lives of over 11,000 from both armies. the fighting moved south. for more information on this battle or any of the organizations mentioned , please visit this website. 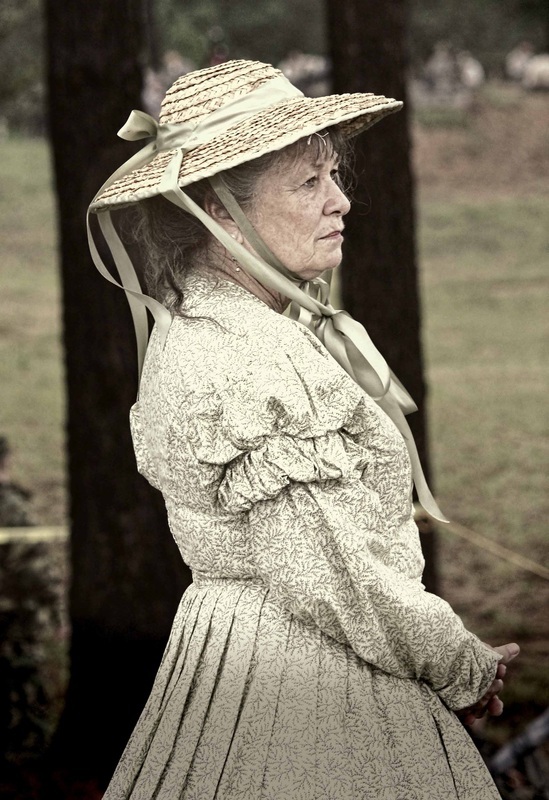 with thousands of confederate soldiers dead, many whose bodies would go unclaimed, it was mary green whose heart broke upon seeing bones, bodies and makeshift graves scattered on her plantation. 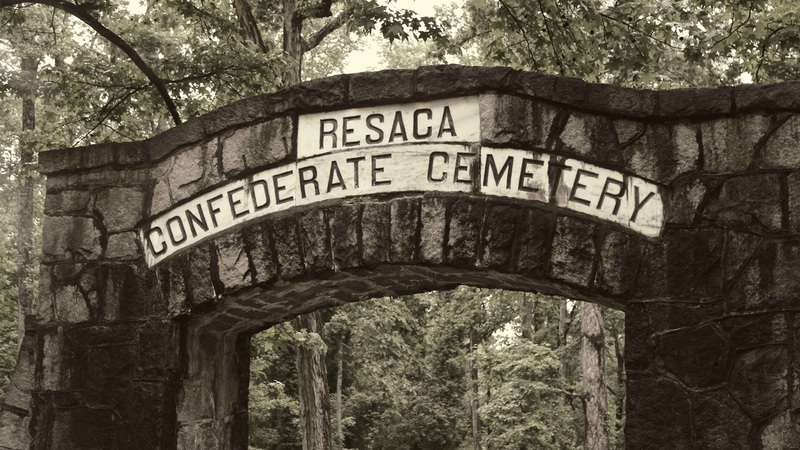 with contributions from the community and a gift of land from her father, in 1866, georgia's first confederate cemetery, resaca confederate cemetery, was established. 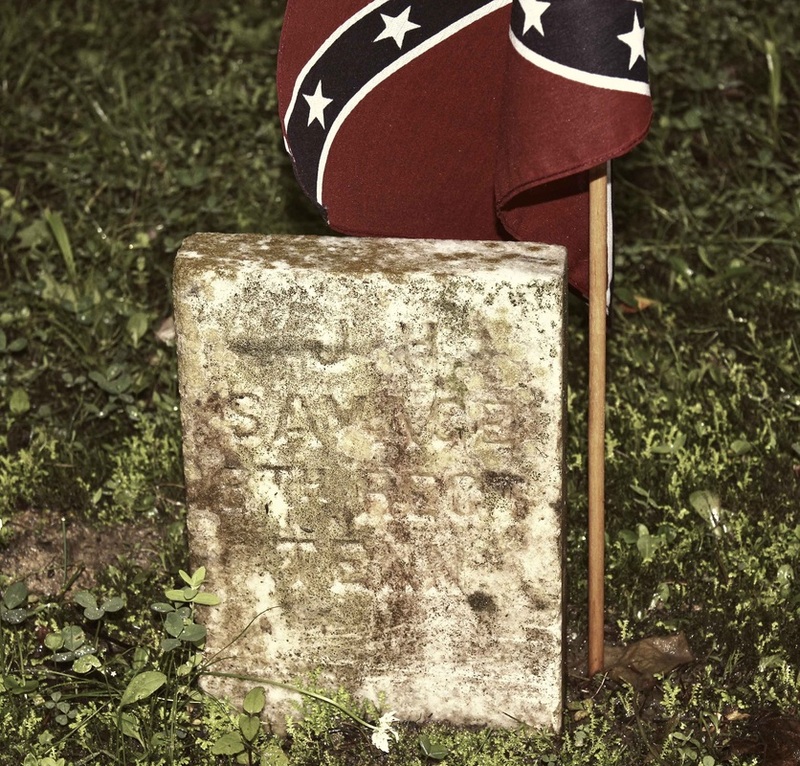 located a few miles from the battlefield, it was dedicated by mary green on october 25, 1866. more than 450 confederate soldiers are buried here. 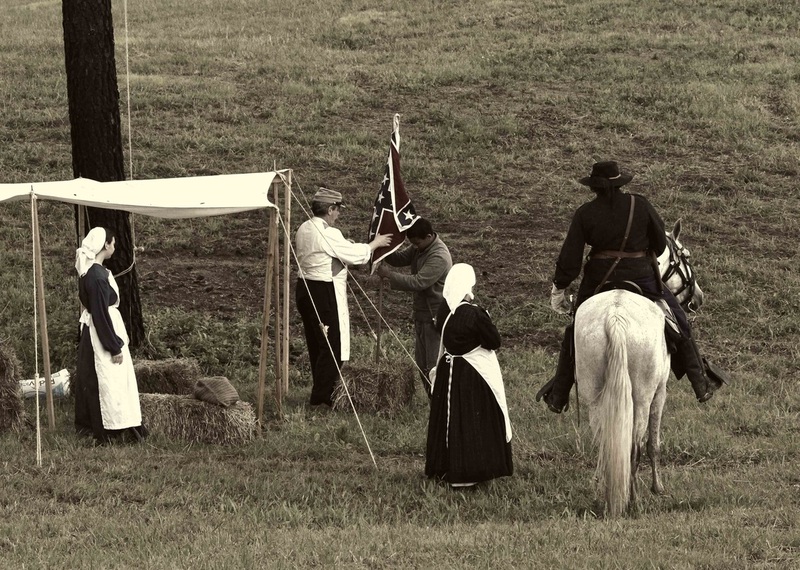 today, memorial services are held in april on confederate memorial day as well as in may to commemorate the battle of resaca reenactment. the services conclude with the playing of taps which was written during the civil war in 1862.